A friend asked about Windows RT. I have a windows RT tablet, made by Nokia. it’s core difference from other windows OS’s is that it runs on ARM processors. This means that the versions/instances of the apps are different from those that run on the other versions of windows which need Intel processors. The app. choice in the store is much more limited than if using other versions of windows, but all the basics are there and it can co-operate with Microsoft & Google’s cloud services. It has a desktop application panel, and so can use MS Office applications and the file explorer. Microsoft have decommitted from RT so the versions of the software (apps & OS) that work are old. This includes internet explorer, which means that some/many web apps will no longer work and places a future risk on the use of such web/apps. Third Party developers no longer develop for this platform. This makes it hard to keep up to date. This will only et worse. 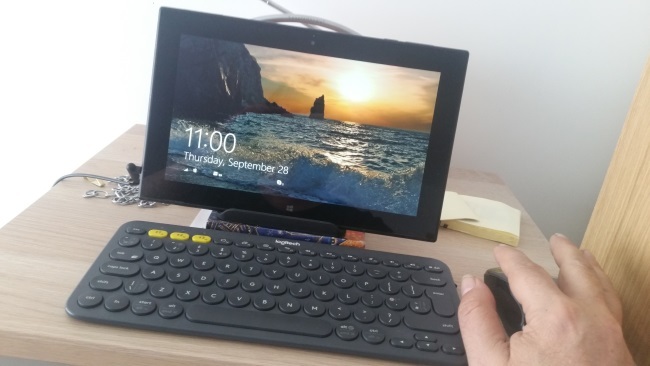 I bought a Bluetooth keyboard (and mouse) and use it mainly for blogging on the road as it is much lighter than my current first choice laptop.